Orlando Chamber Choir is joined by its period instrument band and four outstanding soloists to celebrate the music of Restoration England. 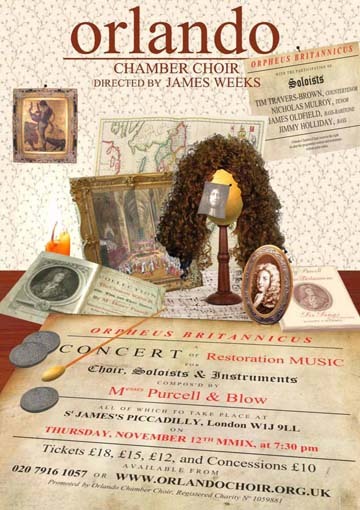 Centred on compositions by Henry Purcell, the concert will paint a vivid picture of the musical world around him, including works by John Blow, and featuring the great coronation anthem My heart is inditing. A truly royal offering!